We are seeking to investigate insurers that frequently use "excessive treatment history" and "lack of motivation" (and limit the use of these excuses) as a justification to deny necessary substance abuse or mental health treatment to insured patients that would otherwise be entitled to those benefits. 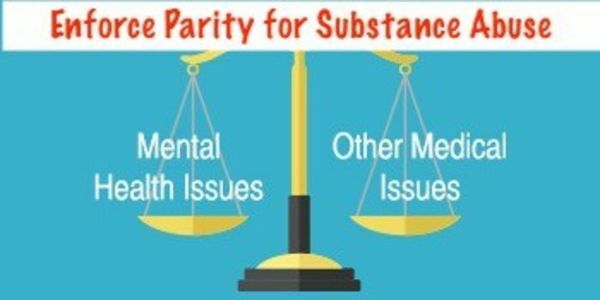 The Mental Health and Substance Abuse Parity Act mandates that mental health services be treated the same way medical/surgical services are treated. Despite this, Insurers are making access to needed substance abuse addiction treatment increasingly difficult. Authorizations for services are frequently being denied on the basis of excessive treatment history and lack of motivation. The rationale is that motivation is a requirement to meet medical criteria. When an addict relapses or if they need to go to treatment several times or not progressing "fast" enough" it is considered lack of motivation. Other medical conditions are not subjected to this. A perfect example is diabetes. The noncompliant diabetic that doesn't take medication, eats sweets every day and ends up in the hospital with multiple complications resulting in costly treatment such as amputation of a leg, or renal failure needing dialysis doesn't get their treatment denied due to lack of motivation or excessive treatment history. Health Insurance schemes to deny substance abuse services to insured people and underpay provider claims using secretive methods to calculate "usual customary and reasonable rates" MUST STOP. Providers in other states have challenged these illegal practices and have been successful in uncovering fraud and theft. In doing so they have recovered reimbursement that was wrongly withheld. Adequate reimbursement is paramount to provide quality patient care. We must come together and take action.